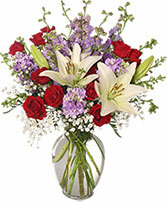 Beautifully arranged in a clear vase is red spray roses, purple larkspur, white asiatic lilys with touches of a dainty filler flower. 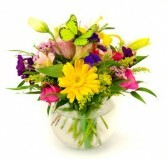 Very pretty mix to put a smile on anyones face. 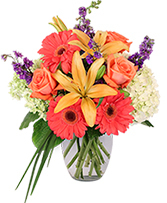 This beautiful arrangement has a cymbidium orchid stem, roses, gerber daisies, lilys, purple statice flower and carnations. 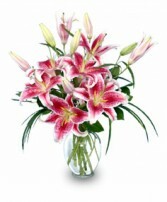 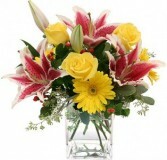 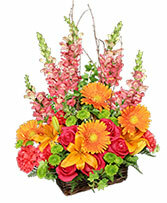 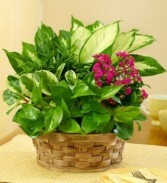 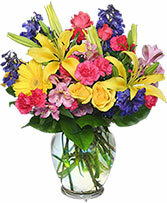 Send gorgeous fresh flowers to express your love and affection. 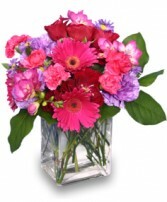 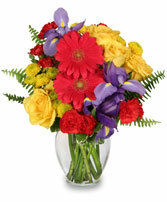 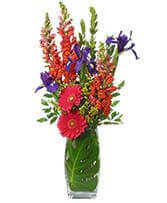 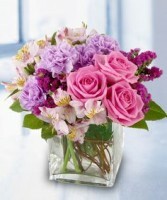 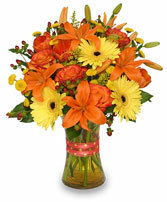 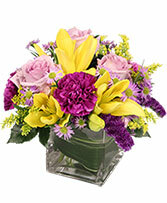 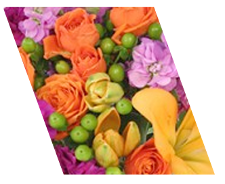 Order Bend, OR flowers online or call AUTRY'S 4 SEASONS FLORIST direct to send flowers to the one you love most. 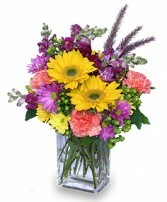 Bright summer colors and flowers. 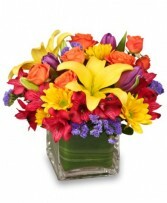 Cheer up someone with this bright floral design. 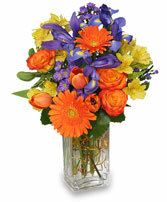 Brightly colored flowers that will brighten anyone's day.